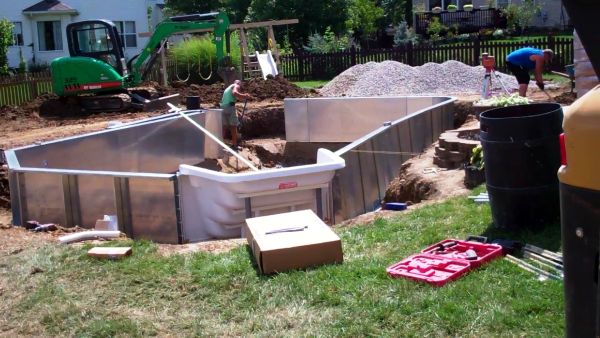 The Ultimate Pool is a kit that can be installed above ground, in ground, or semi-in ground. Ultimate PoolHaving installed a few of these pools, I am impressed with the versatility of this pool. 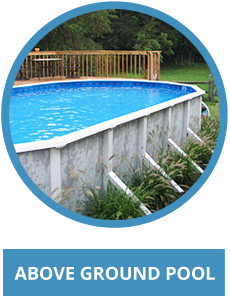 The pool is made with 14 gauge steel panels that are 52″ high. Because of this the pool can be sunk down in the ground to match up to an existing deck, or to be made into a complete in ground setup. We have done them both ways. Ultimate PoolYou can add an optional 8′ walk-in step, and different pump and filter setups to customize the pool for your situation. 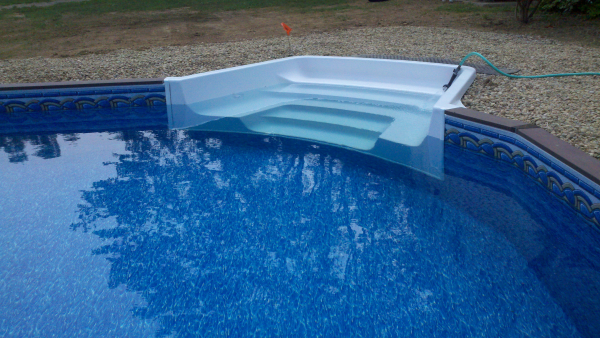 We install them with a flat sand bottom, the same way we do an “above ground” pool. 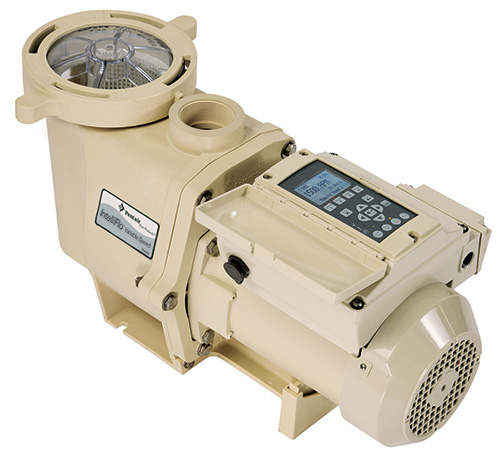 The Ultimate is a great option if you have extreme grade issues in your yard. The following video shows an 18′ round with the walk-in step. We sunk this one in the ground and the homeowner did a patio paver deck around the pool to match into their existing patio. This entry was posted in Uncategorized and tagged Edwards Pools, Pool Construction, Ultimate Pool on August 15, 2012 by admin. 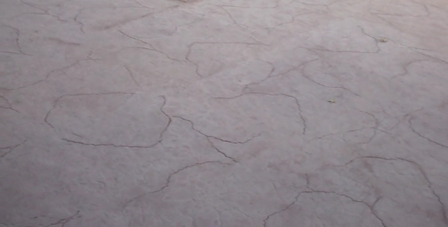 Take a look at this video of a recent installation by Edwards Pools. This is the Pacific model pool manufactured by San Juan Fiberglass Pools. 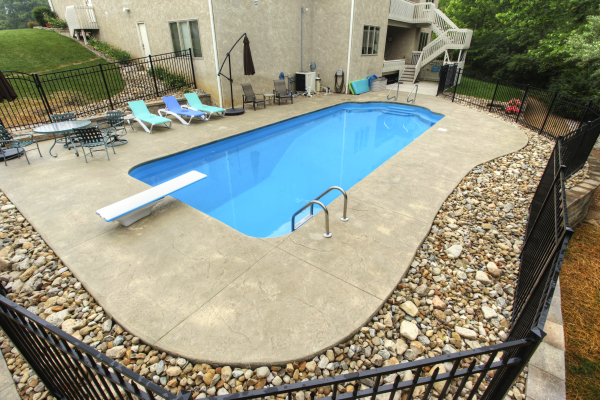 The pool is 16’x39′ with a Blue Lagoon finish. Texture pad finish concrete, with aluminum fencing and retaining walls finish off the project. This entry was posted in Uncategorized and tagged Edwards Pools, Fiberglass Pools, Pool Construction on July 25, 2012 by admin. 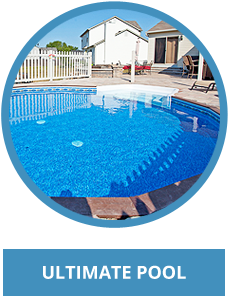 Above Ground Swimming Pools! Packing The Sand Bottom. 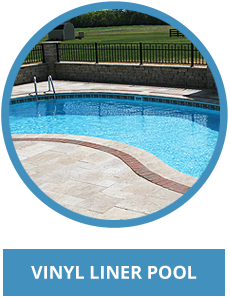 One of the most important parts of installing an above ground swimming pool, is making the bottom of the pool as flat and smooth as possible. 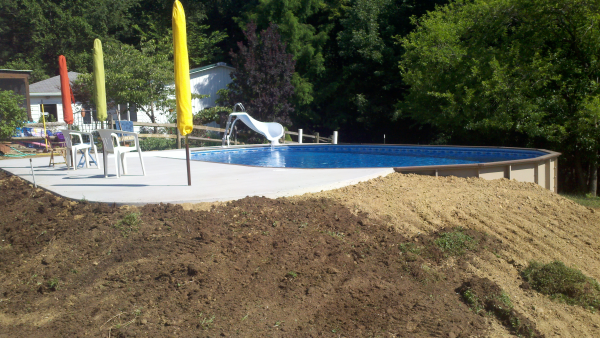 Every above ground pool is usually installed using fine mason sand as the material for the bottom. You can use a vermiculite base, and some are installed with foam. The additional cost for these options is normally not worth it, so mason sand is the material of choice. In dealing with sand one thing to remember is that the sand will shift and move over time. We stress to our above ground customers that even with compacting the bottom the way we do, and brooming the sand as flat as possible, you can still end up with depression spots and little imperfections. One of the things we do see alot in doing liner changes on above grounds, is that the majority of installers do not get there bottom flat. Most times the sand has some pretty good high and low spots. This is due to the installer not taking time to do the bottom right. 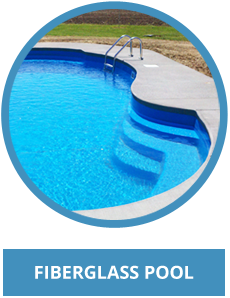 Remember the water weight will not flatten out the bottom of your pool. The water will help to finish compacting the bottom, but if there are high and low spots, that’s what you will have. In this video you can watch how we do the bottom on an above ground pool. Make sure you ask the company you but your pool from how they do the bottom, and do they compact it? Very important!! This entry was posted in Uncategorized and tagged Aboveground Pools, Edwards Pools, Pool Construction on March 28, 2012 by admin.